When an evil assailant opened fire on students attending Parkland High School last week in Florida, JROTC enlistees jumped into action to protect their peers. Grabbing Kevlar mats, they shielded students from a barrage of bullets and saved lives. 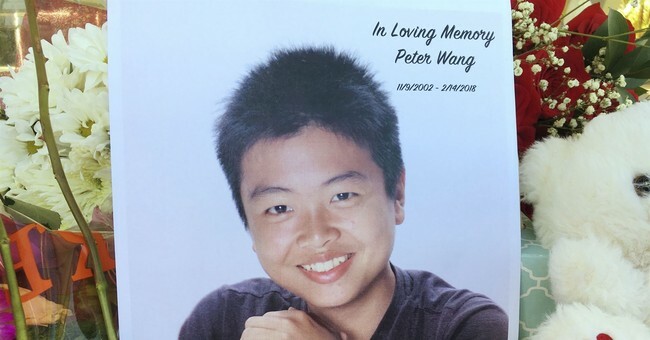 JROTC Cadet Peter Wang made the ultimate sacrifice and gave his life while holding the door open for people to escape. Wang had dreams of attending West Point Academy after high school and planned to have a career serving his country in the United States Army. He was posthumously admitted to the institution this week. Fellow cadets Alaina Petty and Martin Duque, were also killed. They, along with Wang, will receive the Medal of Heroism. All three also will be getting the Army’s Medal of Heroism, the highest honor for Reserve Officers’ Training Corps cadets, said Michael Maddox, spokesman for the U.S. Army Cadet Command. Authorities have hailed the JROTC members for their bravery that day in helping other students reach safety. The U.S. Army Cadet Command said the JROTC Medal of Heroism is given to a cadet who does something "so exceptional and outstanding that it clearly sets the individual apart from fellow students" and "involved the acceptance of danger and extraordinary responsibilities, exemplifying praiseworthy fortitude and courage."